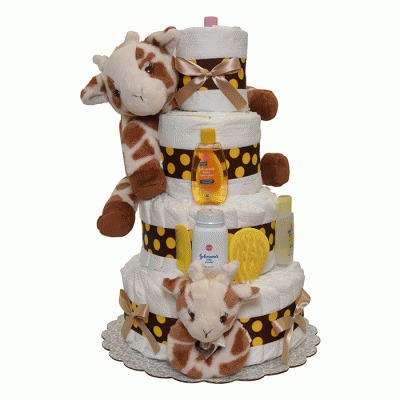 Whether you just didn't find exactly the right pre-made diaper cake, or you want to customize a diaper cake for a very unusual baby shower theme, or you just want to experience the joy of creating a personal, one-of-a-kind gift, our Do-It-Yourself diaper cakes are just right. 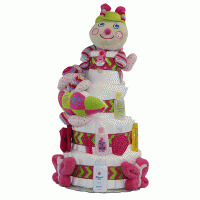 Our Hints and Tips sheet makes it easy to decorate like a pro. Approx. 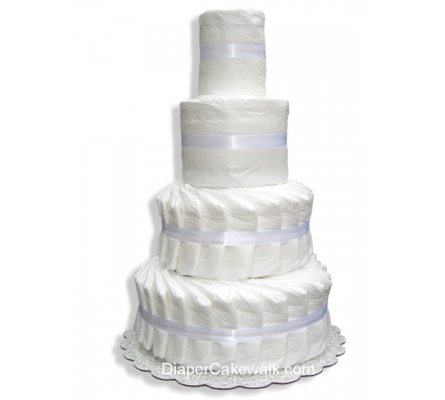 Dimensions: 12"W x 18"H.
We use Pampers Swaddlers Size 1 disposable diapers (which fit up to 14 lbs.) 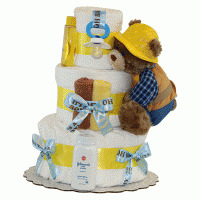 as the main ingredient of your diaper cake. 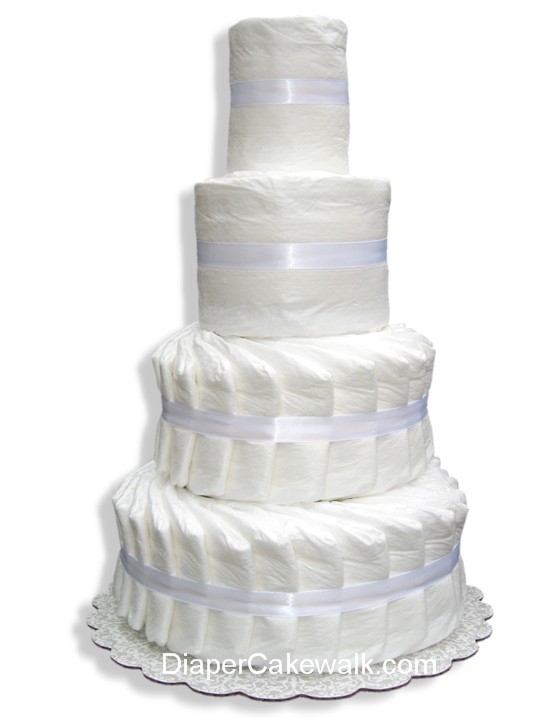 This Do-It-Yourself diaper cake arrives wrapped in white tulle. 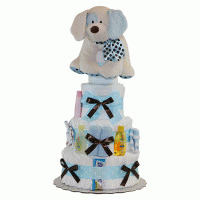 I found that this 4 tier diaper cakes are available in undecorated, it's really made great.